I ran to the school supply aisle as soon as they came up last week! 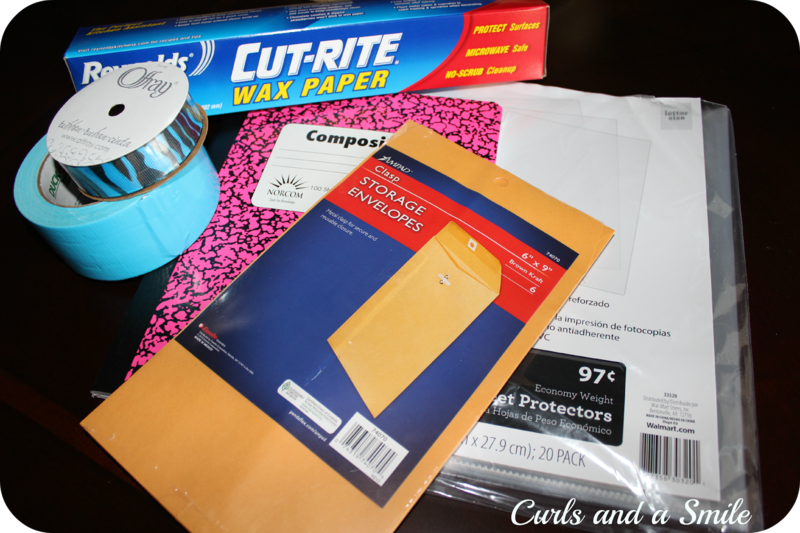 I love school supplies and the Back to School is the absolute best! You are also going to need a glue gun and scissors. The first thing that I did was take the sassy little ribbon that I found and cut it to fit the notebook. I used the glue gun to attach the ribbon. Now my interactive notebooks all have book marks! I thought this was perfect for the kiddos to find there place during a lesson and will keep my lessons running smoothly. 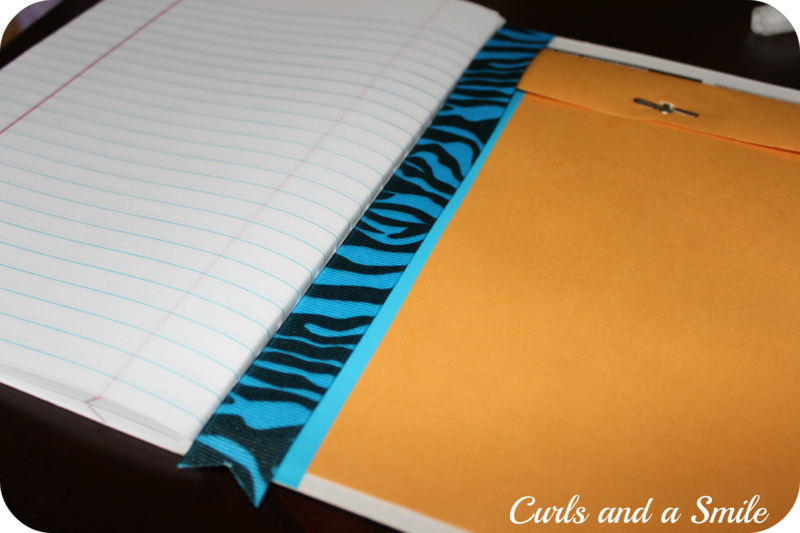 The next step was to add an envelope to the back of the notebook for any loose pieces. I chose to use the mailing envelope for these journals. If you want an option that allows you to see what is in the envelop, a sheet protector or a Ziploc bag will work as well. The sheet protector will give you more space where as the Ziploc bag will give you a closure so the pieces don't fall out. In the end, it's all about what works for you! The first little trick is the paper clip....it actually lets me get the tape started! Once I got started, it really didn't take me too long at all! One more summer project down! This will save me so much time once the school year gets started and will help my interactive notebooks be more efficient. I can't wait! So much fun sharing this little idea with you! Hope it helps you organize for the fall as well! I just went to an interactive notebook session at I Teach K. I love the organization of yours! Off to the store I go! :) Thanks for sharing. Totally motivated now! Going to improve my notebook for sure. LOVE the envelope in the back for spare pieces and the bookmark - amazing ideas! thanks for sharing! 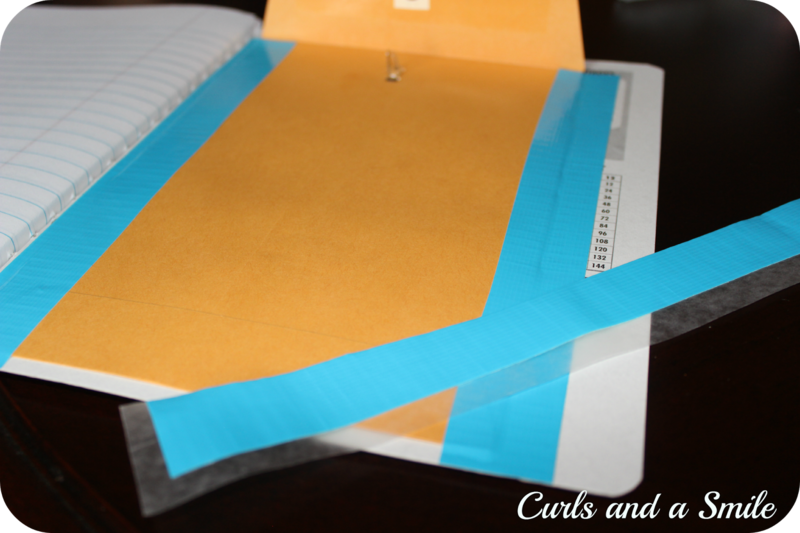 Does the hot glue keep your ribbon on the notebook? I used hot glue this year on our homework notebooks and several came out. 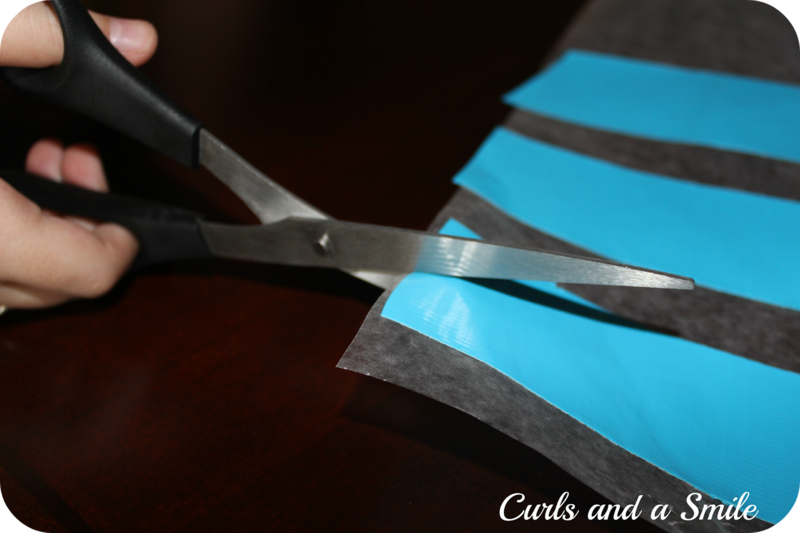 Did you glue a small section or a long strip? I'm wondering if it was the amount of glue or if my Kindergarten students were just too rough with the bookmarks. 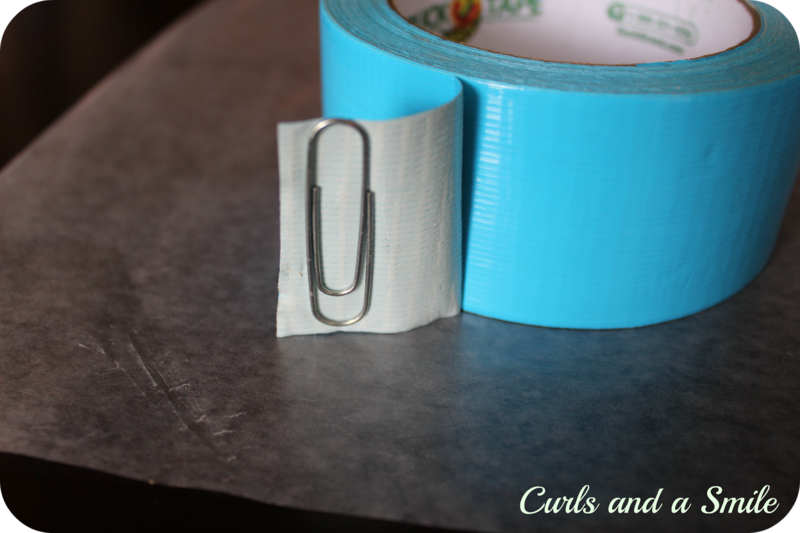 I also love the duct tape on wax paper idea. I have never seen that and will remember that idea if I ever need to cut it. That looked like it was so much easier! I love your idea of putting a envelope on the inside back cover. Some days the students have little pieces that need a safe home until they are able to finish the activity. I will be adding this to their notebooks this year. 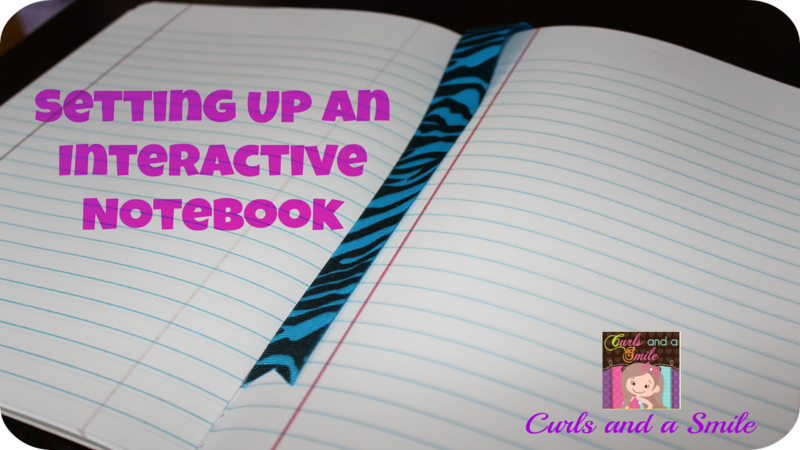 Wow, these are excellent tips for interactive notebooks. I purchased some last year and plan on using the ideas this year with my students. Now I need to go and buy some ribbon. Thanks for sharing. What great ideas! I had already planned to do the bookmarks and have purchased the ribbon. I'll do these as my kiddos bring in their notebooks (they purchase their own). 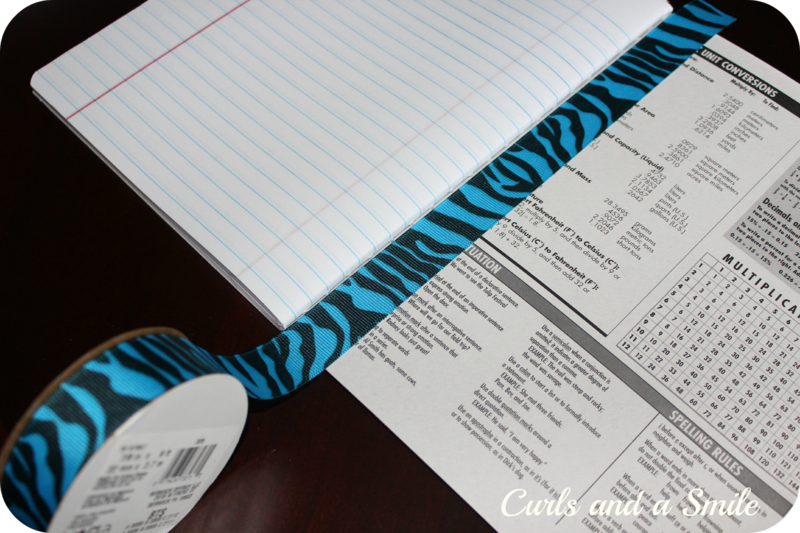 I chose a different color ribbon for each of my three ELA sections that way II can tell at a glance which grade an INB belongs with. Now the envelope is the bomb! I LOVE this addition. I'm thinking I might like a zipper plastic bag, but the envelope obviously fits just perfectly! THANKS so much for sharing! 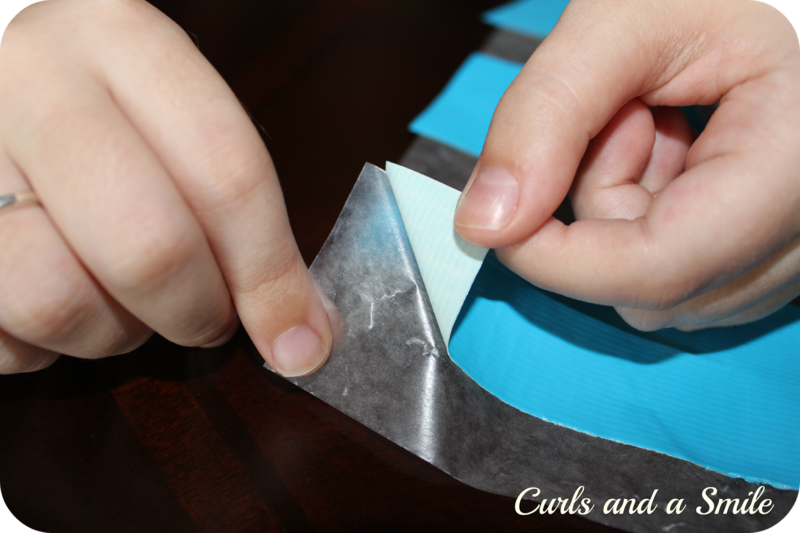 I love the tip of using wax paper to help cut the duct tape. Thanks for sharing! Wow! Wow, love the fabric bookmark and pocket in back.